In Victorian London, Sally Lockhart becomes an orphan at 16. Shortly after she receives a mysterious letter which kick-starts an adventure in pursuit of the truth about her past and family. I’ve read it in audiobook and it might be the reason I didn’t feel strongly about anything in the book, either in a good or bad way. I’ve been building the theory that with audio, the existence of a reader between me and the story somehow detaches me from it. The story was interesting enough, and I was surprised at how Philip Pullman approached opium addiction and organized crime in a YA book, but Sally was just to perfect. She’s “uncommonly pretty” and although not familiar with the more feminine arts of languages and music, she’s an expert in military tactics, accountancy, business management and a great shot and rider (sounds cool doesn’t it? I thought so too!). Pullman went for the unconventional heroine, but Sally is just too aloof, never directly affected by dangerous situations (unlike the secondary characters, who are kidnapped and beaten bloody because of her) and smoothly solving the problems of everyone around her. Secondary characters are all very Dickensian as suits the Victorian setting, but the wonderful world building and brilliant atmosphere he created for “His Dark Materials” was missing here. Descriptions, plot twists and characters, they all felt a bit hurried and lacking depth (no excuse that it’s YA!). A one word review would have said it all, huh? Maybe re-reading books in audiobook format can be a good thing for me, as I think it’d helpful to improve my language skills. As for audio, I’m getting into it now. And I think that some narrators make me more into the story, since I don’t act it out like they do when I read it on my own! @nymeth: … as one can tell from, e.g. The Disputable History of Frankie Landau-Banks. @Mady: re-reading in audiobooks books you first read in paper is definitely different experience. Try Stephen Fry reading the HP books, he’s fabulous! @Joanna: Did I see HDM in your TBRs? So true, some narrators don’t feel like an intermediary at all. Again, Stephen Fry comes to mind. Thx for the suggestion! Will try to see if the local library has any of them. 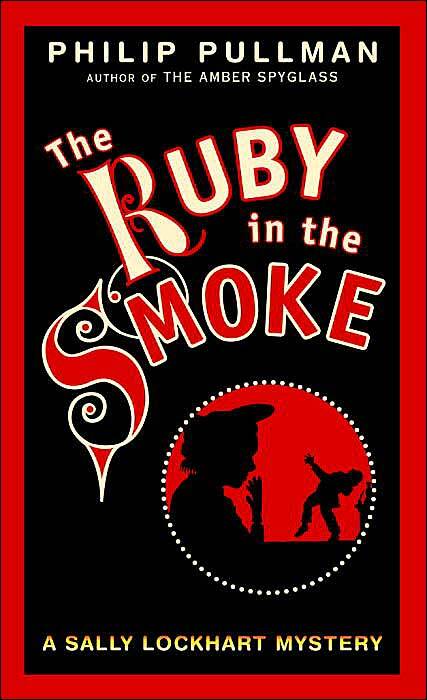 Ruby in the Smoke is ok, but you have to read the sequels. Shadow in the North is just terrifically suspenseful (and has an ending you’ll never, ever forget!) And then the third book is best of all.